Call for Manuscripts: Hidden Esoteric Motifs and Spirituality in the Literature of the Middle Ages. We are extending a cordial invitation to scholars who are in a position to submit a manuscript for a special issue of the journal Arcanum with the title, Hidden Esoteric Motifs and Spirituality in the Literature of the Middle Ages. The goal of the special issue is to make a case for a renewed interest in scholarly research and a reappraisal of traditional interpretations of the literary works in the period. The second of two main sections will consist of research papers which will focus on works of literature of the Middle Ages that provide clues that their authors were aware of one or more of the prevailing esoteric currents. An introductory paper will provide a brief overview of the papers in the issue in a way that helps to provide the context within which they will serve as contributions to the literature. A concluding paper will highlight promising new research directions. 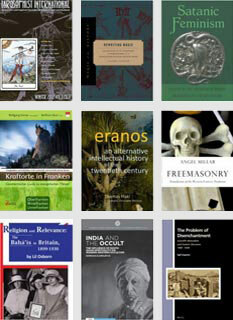 Indexing: Arcanum is indexed in the International Medieval Bibliography. Inquiries from authors who would like to discuss their research and manuscript ideas are welcome. Recent developments throughout the world have shown that the connections between ethnic and religious identity have not lost their actuality. The relationships between religion and nationalism are multifaceted and interactive; their dynamics is influenced by social and political conditions. The politisation of religion may support ethnic and national unity, whereas religion may lead to particular forms of political activism. The concurrence of ethnic and religious identity (or the lack of it!) may result in nation building or the shaping of an ideology of the ‘chosen people’. Moreover, religious identities may offer possibilities for the formation of communities that cross national borders. The language of the conference will be English, the length of papers 20 minutes. A conference fee of 80€will be applied for meals and materials; participants are expected to pay for their own travel and accommodation. Please submit your abstract of 250-300 words to the conference e-mail address: conference2016@eaus.ee before 31.05.2016. Pre-arranged panels will also be considered. Notification of acceptance, and the opening of registration, not later than: 01.07.2016. The Conference is being organised by the Estonian Society for the Study of Religions in cooperation with the University of Tartu (School of Theology and Religious Studies, Institute of Cultural Research and Arts) and the Estonian Literary Museum. The open-access journal Correspondences: € 380 to cover three years of OASPA membership and web hosting, providing professionalization and stability for an important independent initiative. The conference Trans-States: The Art of Crossing Over: € 200 to cover travel costs for an esotericism specialist to give a keynote at an experimental, transdisciplinary conference of potentially high visibility. We congratulate the winners of this very first run of the Sponsorship Programme! ESSWE will shortly announce a second round of application, for funding in autumn of 2016. Please check the website or our Facebook page for updates. Boaz Huss, ESSWE's Vice President, has been appointed webmaster in succession to Peter Forshaw, who has been webmaster ever since ESSWE's foundation. Thanks to Peter, and welcome to Boaz! Anyone with news or agenda items for the website is asked to email them to Boaz. The full programme for the ESSWE5 conference later this April in Riga, Latvia is now available. Click HERE to download. We regret to announce that the seminar in Biella on Spiritualist Artists and the connected exhibition on Giuseppe Maffei and Rosazza have both been cancelled. The local organizing entity who had agreed to provide the funding for the seminar and the exhibition experienced severe financial hardships and finally was placed under a court-controlled administration, which immediately blocked all projects and expenses. Incidents of this kind are unfortunately not uncommon in Italy, where the end of the financial crisis is not on sight. We apologize to all those concerned, although the events in Biella developed rapidly and completely outside the control of CESNUR. We know that some of you had prepared interesting papers and projects. The CESNUR conference in Tallin, Estonia had a call for papers expiring on January 23, 2015. We are however keeping open for you the possibility to submit the papers for Tallinn until January. 31, next. Please let me know within this time whether you are interested in resubmitting the papers for Tallinn and we will organize a special session on the same theme. The University of Manchester invites applications for a Research Associate on the exhibition project “Magic and the Expanding Early Modern World”. The exhibition will be staged at the John Rylands Library in Manchester and co-curated by Dr Jenny Spinks and Dr Sasha Handley, both Lecturers in Early Modern History at the University of Manchester. You will be based in the History division of the School of Arts, Languages and Cultures, and will work extensively with early modern materials in Manchester collections. You will have a PhD in early modern history or a related discipline, expertise in early modern print and/or manuscript culture, and demonstrable familiarity with the history of supernatural beliefs and debates c. 1400–1800. The role will primarily involve research on items to be included in the exhibition, the preparation of a range of catalogue and display texts, and assistance in planning for the exhibition and associated academic and community events. You will work under the supervision of Dr Jenny Spinks, with the position funded through her Arts and Humanities Research Council Early Career Fellowship on “Magic, Diabolism, and Global Religion in European Print Culture, 1500–1700”. A revised version of the ESSWE Spring 2014 Newsletter is now available, one which includes an apology concerning statements made in the original issue, plus the sincere regrets of the Board and President of the ESSWE concerning this unfortunate incident. The closure of the University of Exeter's EXESESO programme was indeed a great loss to the field of the study of Western Esotericism and we hope that ESSWE board and members, including EXESESO scholars and students can now join together in working for the future of the field. This special issue of Nova Religio focuses on how new religious movements, and artists associated with them, have significantly contributed to the visual arts. In 1970 Finnish historian Sixten Ringbom (1935-1992) published his seminal book, The Sounding Cosmos, in which he argued that the artistic career of Wassily Kandinsky (1866-1944) and the birth of modern abstract art were crucially influenced by the teachings of the Theosophical Society. Although some of his conclusions remain controversial, Ringbom’s pioneering book opened the road to further studies. In 1983 American art historian Linda Dalrymple Henderson published the first edition of her landmark study, The Fourth Dimension and Non-Euclidan Geometry in Modern Art, in which she noted how alternative religions contributed to explorations of the idea of a spatial (rather than temporal) fourth dimension, which was crucially influential on modern art. Two large exhibitions, The Spiritual in Art (Los Angeles, 1986) and Okkultismus und Avantgarde (Frankfurt, 1995), popularized the connection between alternative spirituality, esoteric movements, and modern art for a larger audience. In 2013 the conference, Enchanted Modernities: Theosophy and the Arts in the Modern World, at the University of Amsterdam included some 50 papers, with an audience of 140 scholars plus some 2,000 from all over the world connected via streaming video. 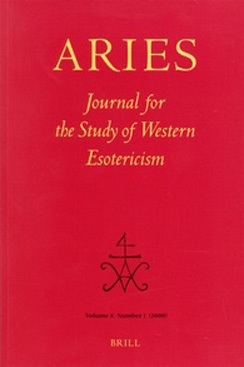 Although art historians have mostly focused on Theosophy, significant twentieth-century artists have also been associated with Christian Science, Baha’i, Rosicrucianism, Ordo Templi Orientis, Neopaganism, the New Age movement, the Church of Scientology, a variety of new Buddhist movements, and other new religious movements. By mapping out how new religious movements have interacted with the visual arts, this special issue will explore how alternative religions influenced artistic trends of the nineteenth, twentieth, and twenty-first centuries. Contributions may focus on the ongoing debate on the relationship between Theosophy and modern art, but we hope to include articles on artists and currents associated with other religious movements. This special issue of Nova Religio will be guest-edited by Massimo Introvigne (Pontifical Salesian University, Torino, Italy). He may be contacted at maxintrovigne@gmail.com. Abstracts of about 150 words and a short CV (no more than two pages) should be submitted to Introvigne at the email address above by 20 September 2014 in order to elicit his feedback. Papers should be submitted to Introvigne no later than 15 January 2015. Abstracts and papers should be saved as Word .doc or .docx files. The preferred length of articles is around 7,000 words, including endnotes, with a maximum length of 10,000 words including endnotes. We encourage contributors to select and include photographs, including photographs of paintings, for which they (rather than Nova Religio) should secure the needed copyright authorizations, to be submitted in writing to the journal. For each photograph the contributor desires to include, his or her paper should be shortened by 200 words (for instance, with four photographs the preferred length becomes 6,200 words, with a maximum length of 9,200 words, including endnotes). Photographs will be published in black and white in the paper edition of the journal, and in color in the PDF article available through JSTOR. Contributors may also submit a PowerPoint slide show to be published in the Photo Gallery on Nova Religio’s website, providing copyright clearance has been obtained for all images. Accepted manuscripts must follow the Chicago Manual of Style for endnotes. All references should be in endnotes, numbered throughout the manuscript using the auto-numbering feature of Word. Please see the Nova Religio Style Sheet for the proper formatting of papers to be submitted to the journal. Each paper submitted will be subjected to peer review. If the paper is accepted for publication, the journal’s editors reserve the right to edit for length and clarity, with the agreement of the author. The editors also reserve the right to edit for usage and style. Authors of papers accepted for publication will receive a pdf file of their article and two free copies of the issue in which the article appears.